The event will take place on Friday, March 16 at 6:00 p.m. next to Héroes de Chapultepec Park. Musicians from Mexicali and Calexico will come together to celebrate the anniversary of our city. 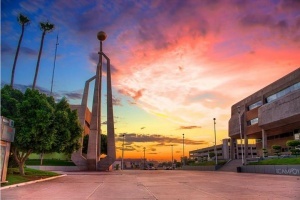 Mexicali, BC.- The 22nd City Council of Mexicali through the Municipal Institute of Art and Culture IMACUM, extend a cordial invitation to the Mexican community to attend the event “Fraterno 2018”, a binational concert that It will be for free. The Director of IMACUM, Carmen Espinoza Jiménez informed that this event will take place in the Calle Ayuntamiento and Av. Colón, right next to the Héroes de Chapultepec park on the Mexican side, and on First Street and Heber Ave. on the American side. She stressed that in addition to strengthening the bonds of sisterhood between both cities, within the framework of the 115th Anniversary of Mexicali, we expect a very special evening with the participation of high quality artists. Espinoza Jiménez explained that on the part of Mexicali, the Chuan-Fa Kung-Fu School of Martial Arts will participate with Chinese lion dances as well as the Red Rio Nuevo Orchestra, which will perform pieces of classical music, songs that identify Mexicans, such is the case of “El Cachanilla” or “Mexicali Rose”, mambos by Pérez Prado, among other compositions. She said that the city of Calexico, will offer the presentation of the Mighty Bulldog Band High School with marching band routines, an activity originally from the United States where military style singing melodies with wind instruments are played; in addition to the intervention of the singer Jonathan Cortez. The appointment for this event is at 6:00 p.m., being an excellent opportunity to enjoy a family weekend with great musical exponents of the border. For more information you can call 554 8333 or 554 3760, as well as browse the Imacum Arte Cultura facebook page and email: imacum@gmail.com.